Soaring Ceilings & Sparkly Blue Pool Awaits! Bright and beautiful! Welcome to the perfect family home! Gorgeous entry with soaring ceilings in the formal living and dining room. First level also includes large family room, den and eat-in kitchen. The den is spacious with built-ins but can easily be made into a 5th bedroom and is right next to the full bath! Travertine throughout the first level and bamboo wood flooring up including the stairs! Spacious kitchen has cabinets galore, kitchen island, stainless appliances and granite counters. Updated fixtures, travertine backsplash and custom French doors to the patio complete the look of this perfect kitchen that any chef will love. 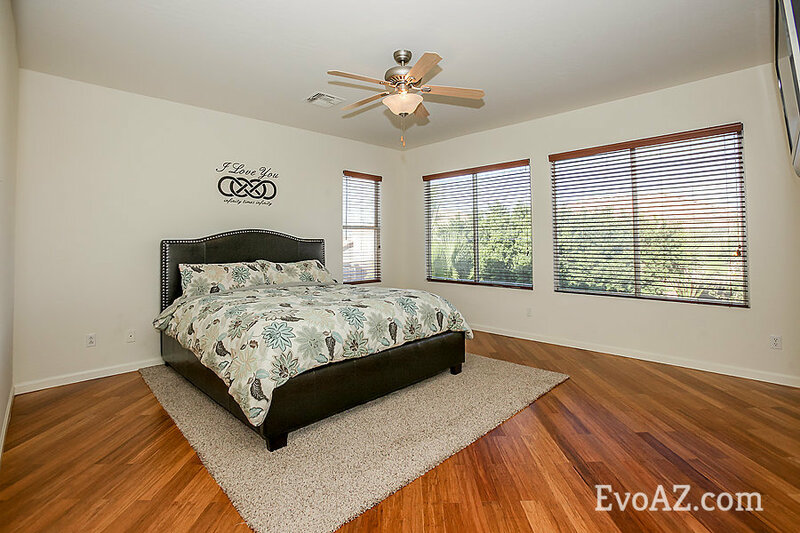 Large 2nd level with oversized bedrooms, fully remodeled bath and private master suite. HUGE master bath with separate shower and tub, double sinks, glass block windows and HUGE walk-in closet. Enjoy the beautiful crystal blue pebble tec heated pool and spa, lush, mature trees and spacious yard with built-in bbq. Upstairs AC unit is an efficient new Trane! R/O water system and 3 car garage has built in garage cabinets + 220V. Large green belt, playground, lighted basketball court and community pool is just a few doors down the street! Posted on December 9, 2017 by Katie Lambert.